? Upset because your Wine, Olive Oil, Truffle Oil or any other Liquids deteriorate and have a bad taste?
? Run a Business in Oenology and Hospitality Industry and Open Lots of Wine Bottles?
? Want to make a gift?
? If you don't drink the entire bottle, preserve wine & seal the bouquet. 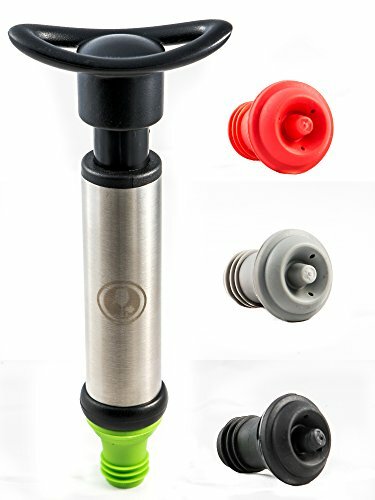 Simple to use with washable rubber stoppers that can be inserted easily. Not suitable for sparkling wine.
? The Wine Pump it's a hand operated pump that keeps wine fresh & tasty even for 14 days after opening. Store your bottles aside & forget about messy leaks.
? Cap the bottle with a stopper, place the pump on top & pump until resistance. 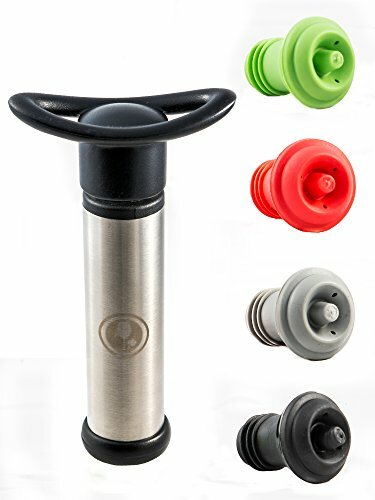 WINE SAVER-Unlike fragile plastic pumps, our wine preserver pump is made of sturdy stainless steel that can last a lifetime and ABS plastic. 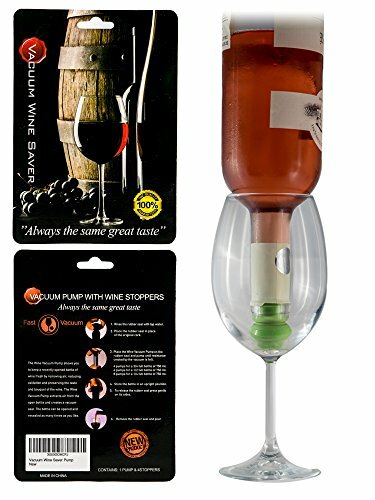 Creates an airtight vacuum that preserves wine once the bottle has been opened. 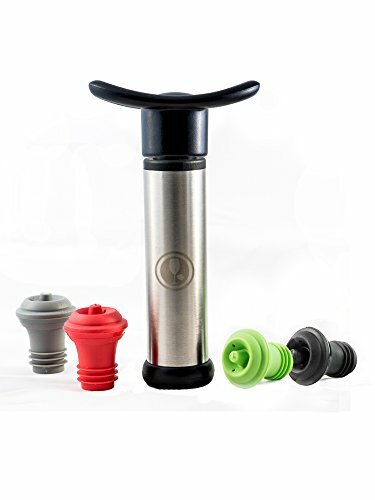 Protects your opened wine from oxidation & bacteria even for 14 days. 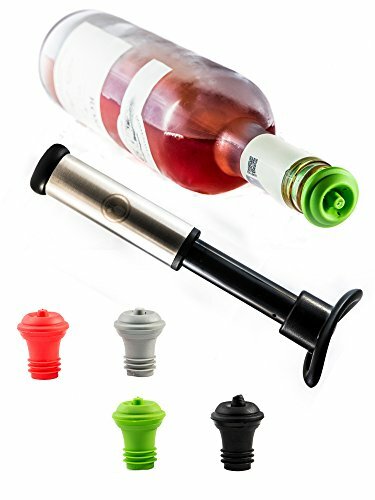 HIGH QUALITY MATERIALS-The kit comes with 2 reusable rubber stoppers that fit most kind of wine bottles. It is more environmentally friendly than silicone, non-toxic and safe! FREE eBOOK included. 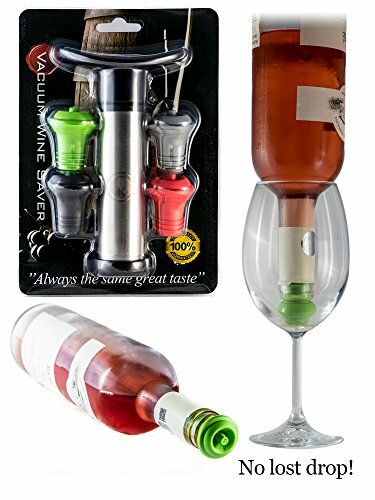 GREAT GIFT IDEA and MONEY SAVER for wine lovers, occasional drinkers, home or wine bars, restaurants, house warming, anniversaries, family reunions, different events, wine tastings or festivals. EASY TO USE - Our vacuum wine sealer is a hand operated pump. Simply cap an opened bottle with one of the stoppers and then place the pump over the stopper and start pumping the air out until resistance. 100% CUSTOMER SATISFACTION OR YOUR MONEY BACK GUARANTEE! We want you to be thrilled with our FastOVacuum preservation kit purchase. Should you have any problems at all, let us know and we'll promptly make it right immediately.